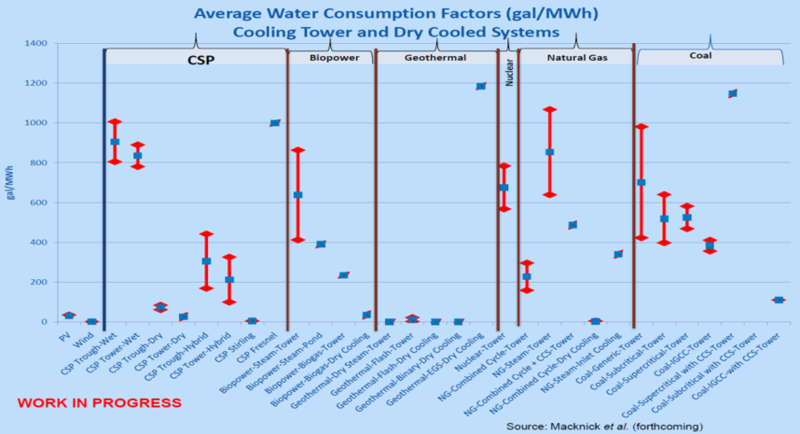 CSP plants consume water just like any other thermoelectric plants. 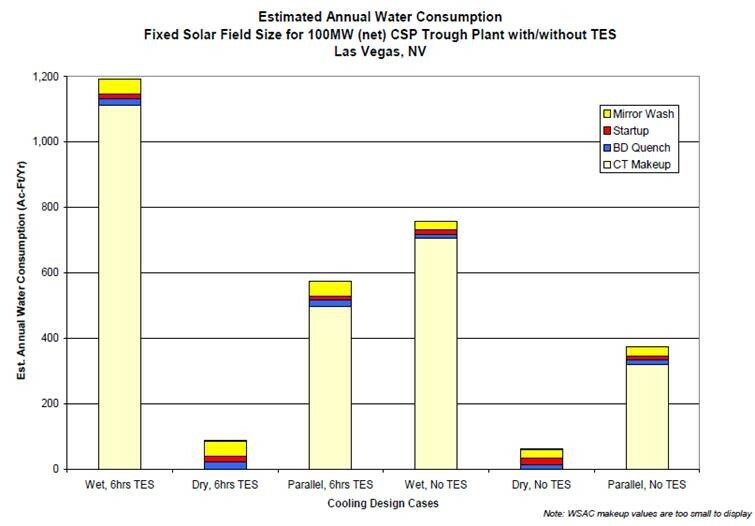 Below you can see some statistics on water consumption of CSP plants compared to other systems. This information was extracted from the presentation “CSP Plants Operations and Maintenance” delivered by Raymond Branke (Fraunhofer ISE). You can read it in full here.